The VisionScapes Construction Process provides a smooth transition from your vision to reality. We work with you to create the perfect design to match your individuality and your outdoor dreams. View our Inspiration Gallery for photos of our work. VisionScapes is Calgary's specialist for landscape design and construction. Our philosophy: "Beauty is in the Details" reflects the importance of the details in superior craftsmanship. In some cases, craftsmanship unseen until the project is complete. Our thorough landscape design planning process will ensure success for your project, and our reputation. VisionScapes is a team of highly qualified landscape designers and builders. VisionScapes has learned the art of dreaming and pushing the boundaries of traditional outdoor lifestyles. Our clients would tell you that we are much more than a typical Landscape Design and Construction company. We believe in creating truly distinctive, perfectly original outdoor living spaces for Western Canada's most discriminating clients and businesses. We hope to inspire you, and encourage you to dream. Once you have a dream, please contact our highly skilled team, driven to transfer that into reality. VisionScapes is Calgary's certified specialist for landscape design, landscape construction and snow removal. We focus on Residential and Commerical Landscape design, construction and professional yard maintenance. Snow Removal, Yard Clean Up and Spring Cleaning, weekly lawn cutting, hedge trimming, tree pruning, lawn care and fertilizer packages. 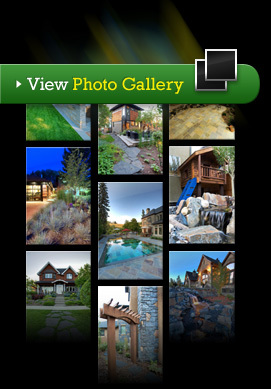 VisionScapes has designed and developed many of Calgary's most prestigious landscaping projects. View our Galleries for inspiration and call us today!